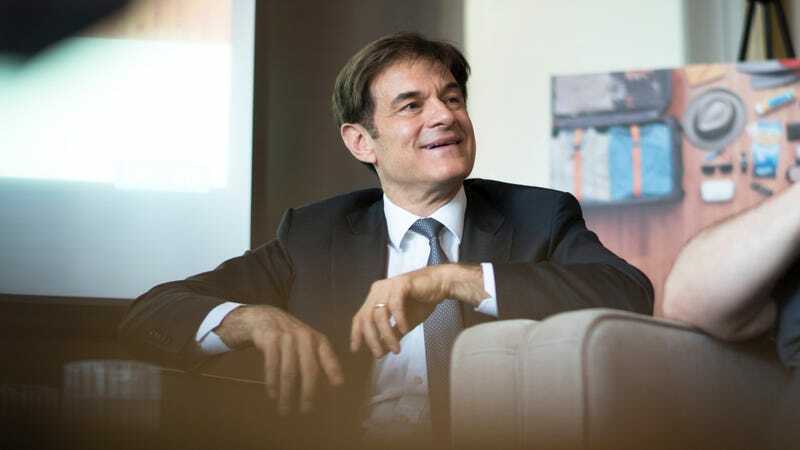 Lo and behold, President Donald Trump has appointed none other than widely ridiculed quack Dr. Mehmet Oz—yes, the Dr. Oz so infamous for his dubious TV health advice that the British Medical Journal published a thorough trashing of him—to serve as a health adviser. The appointment of Dr. Oz is notable because he’s long used the Dr. Oz Show as a platform to market alternative medicine, i.e. mostly fake or overhyped products and recommendations. In one case, a company producing a supposed miracle weight loss drug that he endorsed was fined millions by the FTC, and Dr. Oz was separately summoned before a congressional hearing to testify as to why he kept promoting products with no legitimate science behind them. Studies have repeatedly shown that Dr. Oz does not seem to use actual evidence when making health recommendations on his show. In other words, the guy is not someone you might want serving on a presidential council. So why was he picked by the White House? Here’s where it gets extremely predictable: It might have to do with that time Trump appeared on Dr. Oz’s show and the doctor said he agreed with that bizarre letter allegedly written by Trump’s personal doctor, Windows XP aficionado Harold Bornstein, proclaiming that he would be “the healthiest individual ever elected to the presidency.” It later turned out Trump dictated the letter to Bornstein, but the appearance on The Dr. Oz Show helped the president launder his self-written health review with the aid of an additional medical professional. All of this was happening right around the same time his campaign opponent, Hillary Clinton, was visibly experiencing some health issues. There’s also the fact that the president tends to hand out nominations to people he personally likes rather than people who are qualified and properly vetted, so perhaps this is just another instance in which Trump was easily impressed. Among those who once “worked” for Trump on NBC and will now “work” for Trump on this largely ceremonial panel are former Yankees and Red Sox outfielder Johnny Damon, bodybuilder and Incredible Hulk actor Lou Ferrigno, former NFL running back Herschel Walker, and pro golfer Natalie Gulbis. New England Patriots coach Bill Belichick will also be on the council. The good news, such that it is, is that this position is largely ceremonial rather than functional. So there’s not a gigantic risk of Dr. Oz doing real damage, as could have been the case when Trump nominated White House doctor Ron Jackson, a rumored drunkard who allegedly wrote tons of scripts for whoever asked, to run the Department of Veterans Affairs.